Pineapple and coconut, the two tropical fruits that immediately reminds of warm and sunny beaches and pina colada. However, when they are combined with yogurt and ice, it makes a delicious smoothie, which can rival the taste and feeling of drinking pina colada. 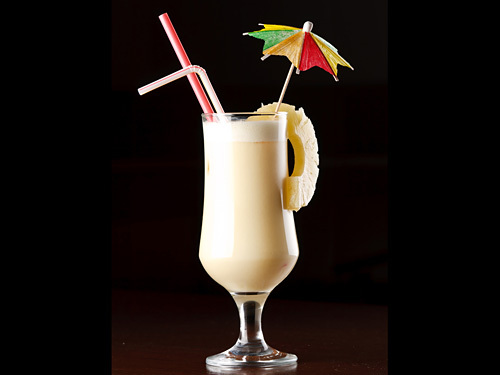 Experience the difference and discover a new way of enjoying quiet poolside sun bathing with this tropical and delightful pineapple coconut smoothie. Place coconut meat, fresh pineapple and coconut water in a blender. Blend until smooth. Add pineapple juice, ice cubes and vanilla yogurt, blend until smooth and slushy texture. Pour prepared smoothie in tall serving glass, garnish with pineapple wheel and serve with straw. Use 2/3 cup coconut milk as a substitute of coconut meat and coconut water. You can also use canned pineapple if you do not like the surprise of sweet and tangy fresh pineapple. With canned one, you will be assured that they will be sweet. Serving Ideas: Serve it as a cool drink in summer afternoon. What is the difference between milkshakes & smoothie? 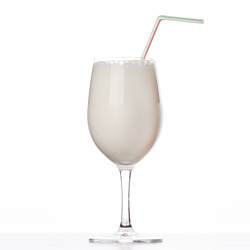 Response: Milkshakes have milk, fruit and ice cream while smoothies have fruit, vegetables, milk, yogurt, etc.